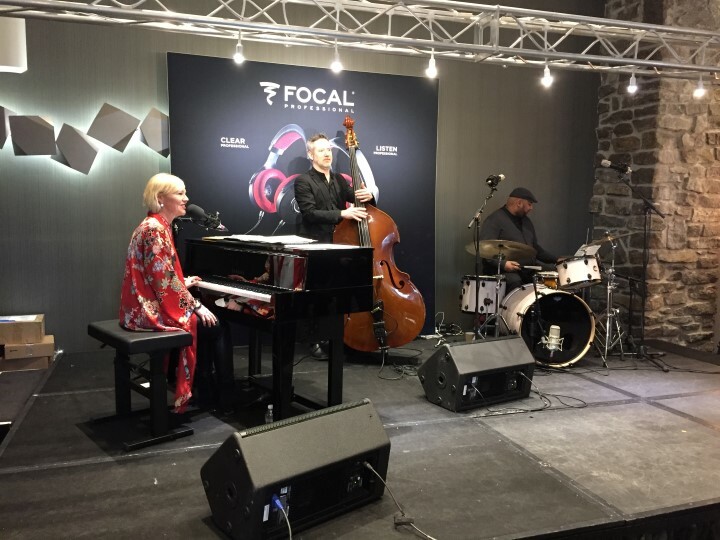 In early 2019, Focal Naim acquired both Plurison and Audio Plus Services – together the companies formed one of Canada’s largest distributors of high-end audio products. 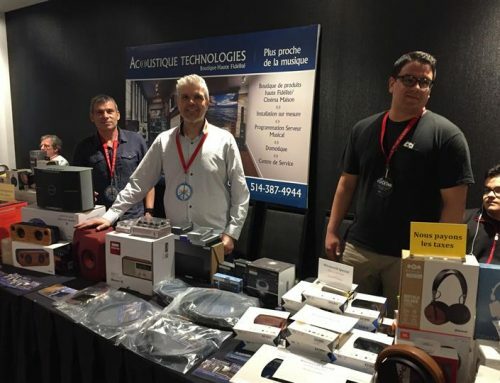 These companies are now known as Focal Naim Canada and Focal Naim America, respectively. The Focal / Naim Audio system was impossible to miss when you first walk into the room. 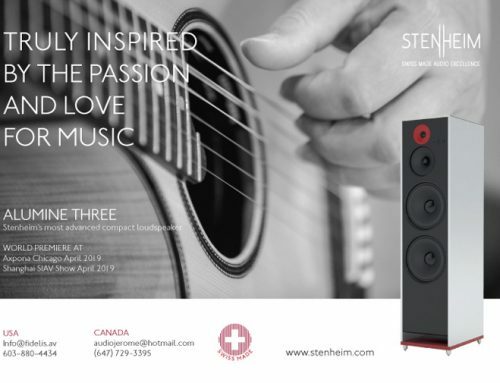 The towering Focal Grande Utopia EM EVO is the company’s ultimate performance speaker – equal parts phenomenal sounding speaker and equal parts a high-end piece of art. Similarly the Naim Audio Statement is the pinnacle of the company’s engineering design… and about the size of a small fridge. Since numerous audio systems were on display in this single large ballroom, only one could be played at a time, therefore specific time slots where scheduled for the demonstration of this system. While I didn’t manage to catch a demo of the system above, I did catch a lively performance by Montreal jazz artist Anne Bisson inside the room. It’s always a pleasure to see Anne perform live. Those who enjoyed the music here were given a chance to pick up one of Anne’s records at the entrance to the room. 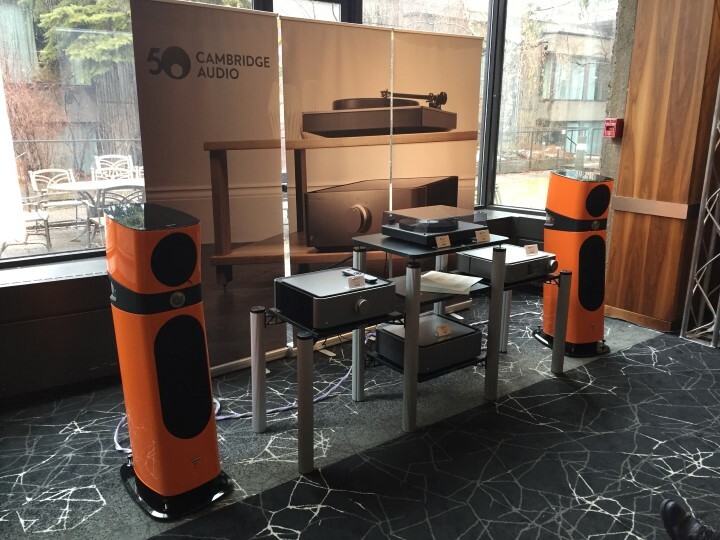 I saw the beautifully styled Cambridge Audio Edge series on static display for the first time in Toronto last fall but show goers were given a chance to listen to the components here for the first time. The system consisted of the Cambridge Audio Edge A integrated amp ($6,499), Edge NQ preamp/network player ($4,999) and the Edge W power amp ($3,999). 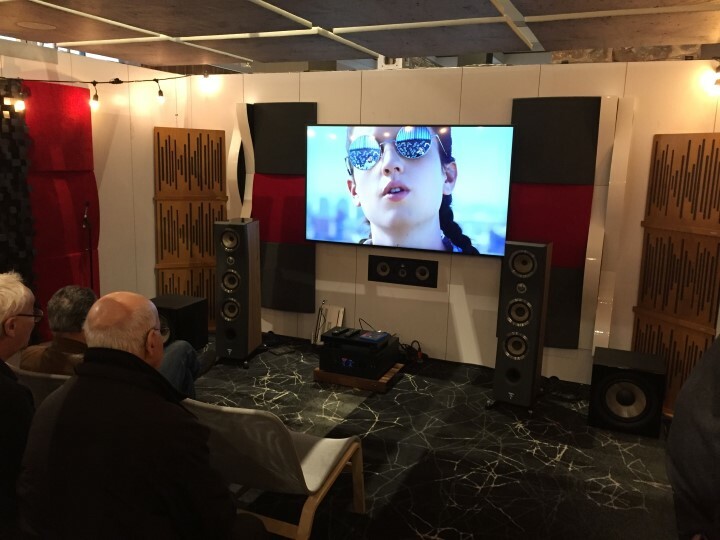 The speakers in play were the Focal Sopra No. 2. The brand new product in this system was the direct drive Cambridge Audio Alva turntable ($2,399). What makes this turntable unique is that it offers Bluetooth aptX HD connectivity, which means that it can stream music wirelessly to your music system – so you can place it anywhere in your house. Very neat idea! 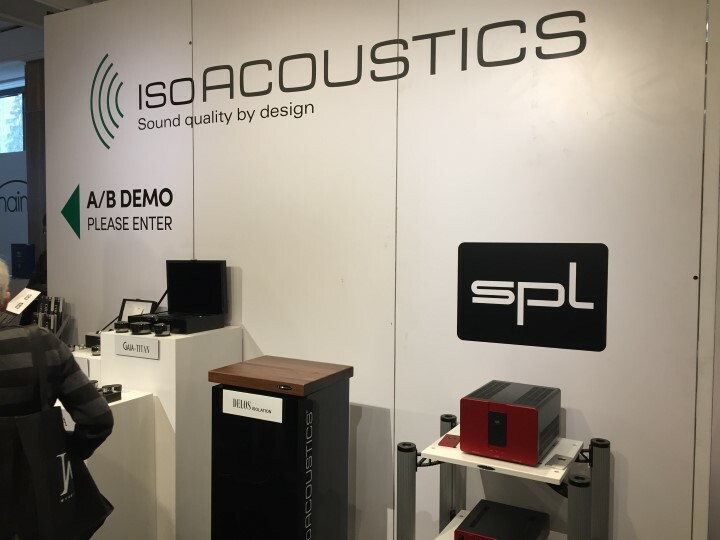 IsoAcoustics launched a brand new DELOS isolation platform at the show, designed for audio components and turntables. There are four different models, ranging in thickness from 1.5-3 inches. 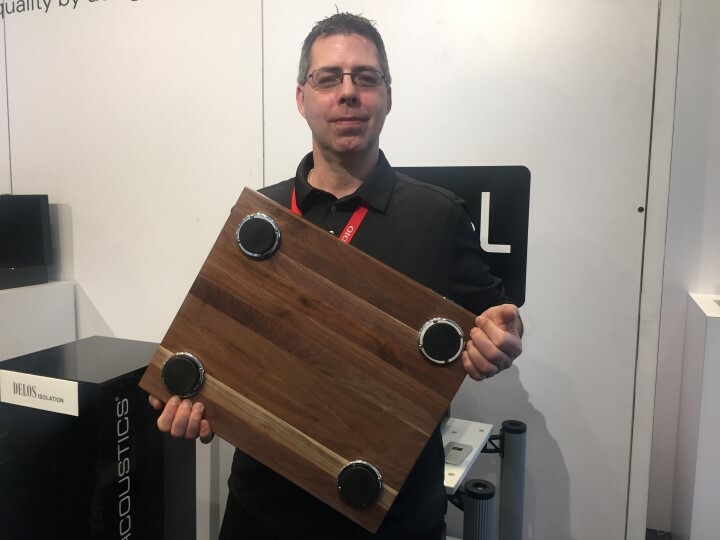 Both George de Sa and I recently started using IsoAcoustics products to provide isolation for the loudspeakers in our systems and we absolutely love them for the performance improvement they bring – they are one of the best accessories money will buy you today. Naturally then, I’m curious how well these new DELOS isolation platforms work. First revealed at the ISE Show in Amsterdam earlier this year, the Focal Astral surround processor / 16-channel amplifier was also shown inside this exhibit room. Coming in at a whopping $26,000, the Astral was developed in collaboration with French manufacturer StormAudio, a specialist in very high-end AV electronics. 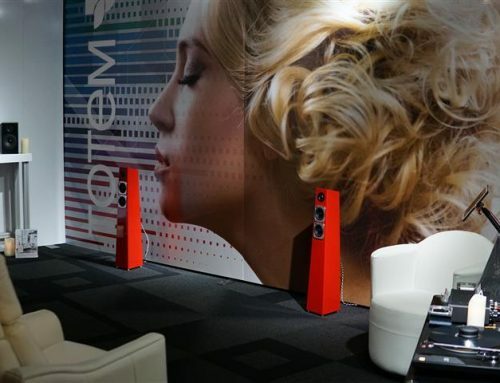 The demonstration of the Astral took place inside a hard-walled booth in a 7.2.4 channel setup with the Focal Kanta No. 2 speakers at the front, and various Focal in-wall/in-ceiling speakers around the room. This room also served as a display of all the beautiful Vicoustics acoustic panels distributed by Focal Naim Canada. Another couple of new products I found in this ballroom came from a German company called SPL (Sound Performance Labs), whose roots are deeply engrained in pro audio. First up, there was the SPL Performer m1000 ($5,500 approx. 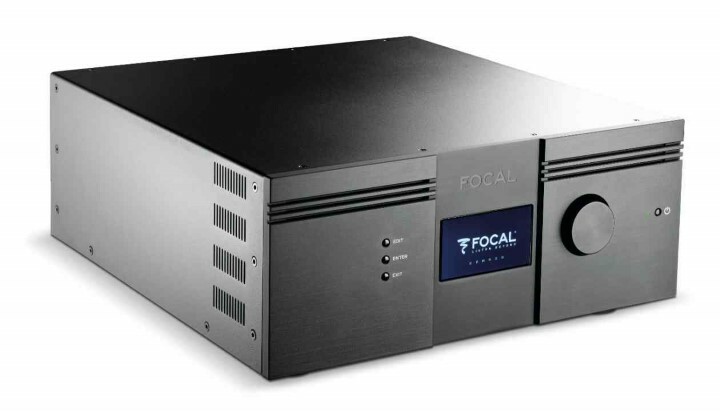 ), a sleek looking mono power amp that offers 1000 watts of class AB power. The other new product in this display was the SPL Crossover, which allows you to add a subwoofer to your 2-channel music system. 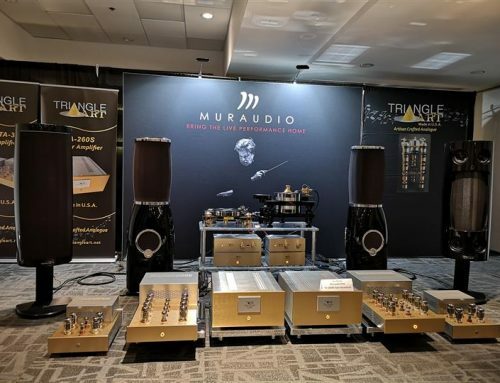 Unlike most crossovers in the market, this model is purely analog, doing away with DSP and AD / DA conversion– all big pluses if you are striving to maintain the best sound quality. 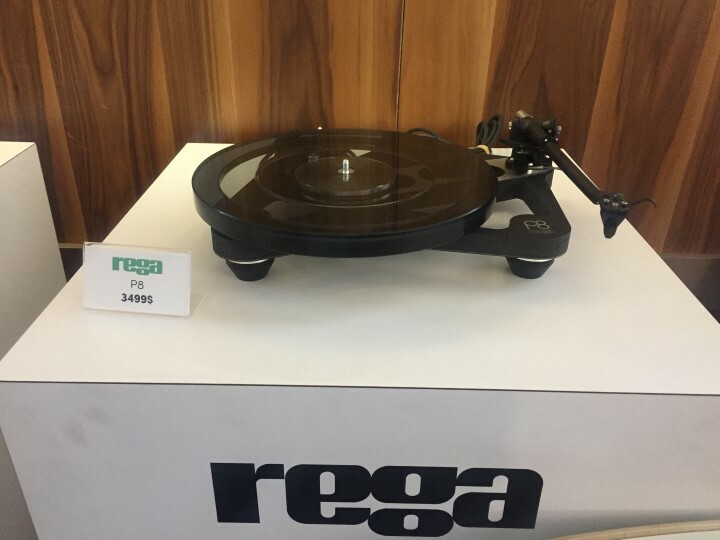 Originally announced in the fall of 2018, the Rega Planar 8 turntable (also known as the Rega P8, priced at $3,499) was also shown at the show. Inspired by the ultimate Rega turntable called the Naiad, this new model offers a minimalist design and high-end performance for a price that most audiophiles should be able to afford. Last, but certainly not least, the back of this ballroom offered a great big Focal headphone display, where show visitors were given a chance to try just about every current Focal headphone. 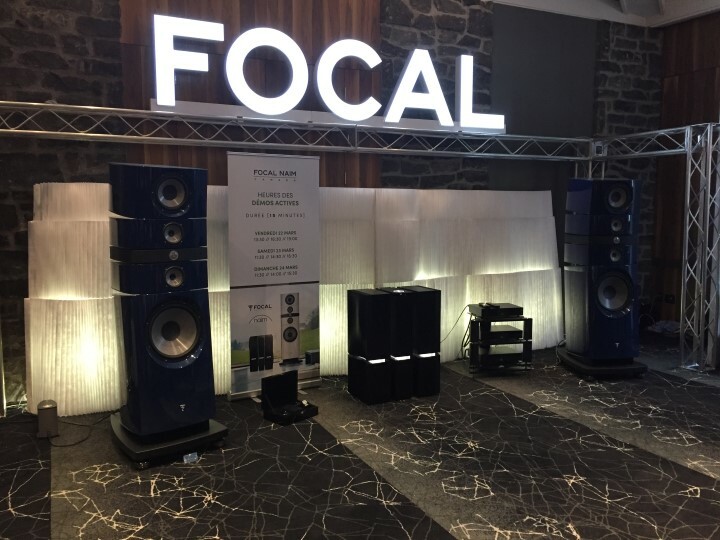 This has been a very strong product category for Focal and it’s nice to see how the designs have evolved over the last few years. 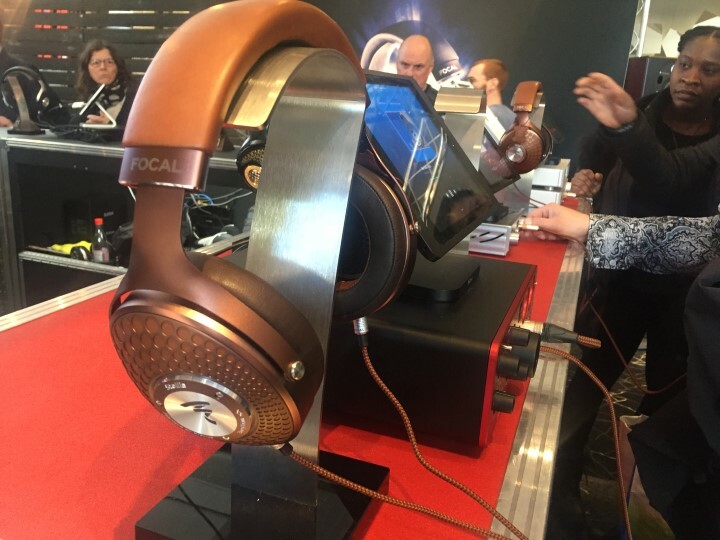 Focal offers headphones / earphones for just about every music lover: from great sounding, affordable models to exotic, flagship designs, and everything in-between. 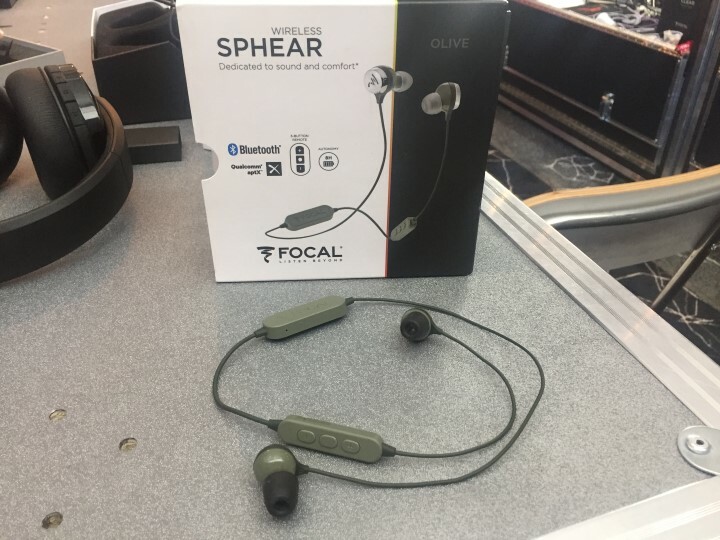 At this display, I found two new headphones: the Stellia closed-back model and the Sphear wireless. 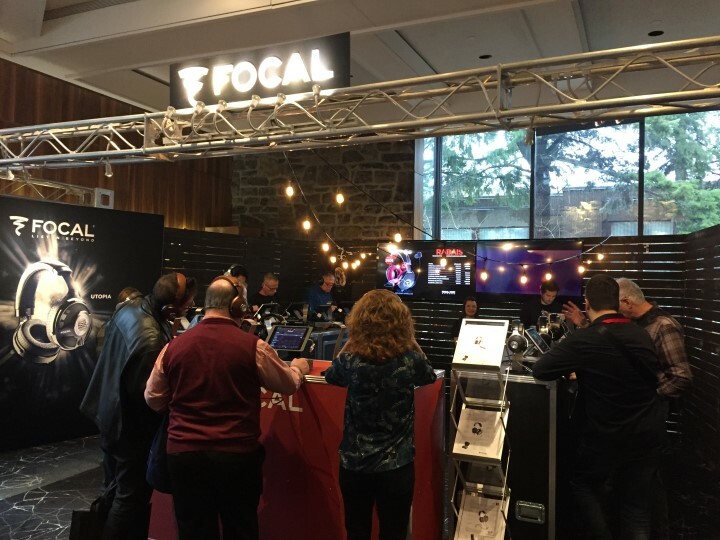 I also learned that Focal will soon be releasing a new product called the Focal Arche – a headphone amp with a built-in DAC that offers a balanced design, and impedance matching to perfectly integrate with all Focal headphones. Hope you enjoyed learning about some of the better sounding and new products at this year’s show. But this is just part 1 of several parts that we’ll be publishing over the next couple of weeks. Check back here soon for the next part!